This was a story made to be an audiobook & I LOVED it. I actually listened to it during while doing a long, tedious computer upgrade process & the time just flew by. Having Martha appear (who was actually never one of my favorite Companions) made me slightly nervous but she was spot on as were all the others. 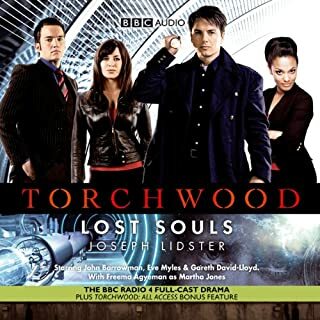 This would have made for an ok television episode, nobody would have complained- but it made a great listening experience. 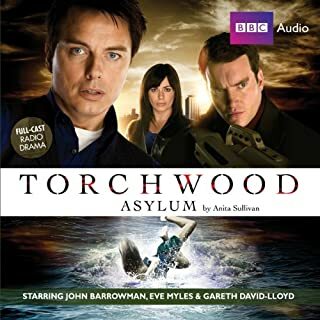 For the record, I'm finding the Torchwood audiobooks to be more compelling and true to character than the Doctor Who series. What a great idea. Not just hunting down aliens but integrating some of the less threatening ones into (humanoid-ish) into the population & the trials & tribulations that go along with that. I'm sure Jack, Ianto & Gwen could have some fun with that.